BUY TICKETS NOW! 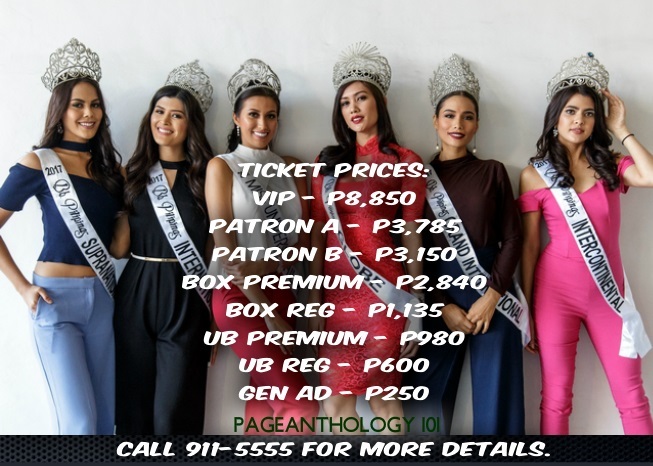 | @bbpilipinasofficial : Binibining Pilipinas Grand Coronation Night 2018 at the Smart Araneta Coliseum on March 18, 2018. Tickets are now on sale at www.ticketnet.com.ph. Call 911-5555 for more details.